Want to make small three levels (multi tier) cakes at home? Metallic Multi Tier Cake Pan makes this an easy job in kitchen. 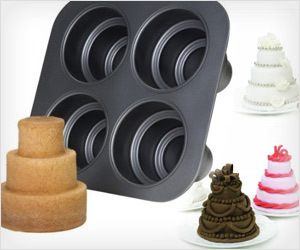 You can quickly bake upto 4 miniature three tier cakes at the same time.